There's an exciting opportunity I'd like to make you aware of. Do you have the burning desire to hasten the end of the republic? Would you like to be a footnote in a chapter about the zombie apocalypse? Do you have the patience to wrangle a despotic diaper baby while he yells at the television? Would you like to be exposed to legal jeopardy as part of a conspiracy to defraud the citizens of the United States? Well, you may be a good candidate for chief of staff of the Trump administration! This exciting opportunity as an employee of the federal government comes with generous benefits like health care -- which you will be expected to take away from everyone else -- and mental health coverage that you will absolutely need. Be the last person on your block to have a pension! No experience necessary! Walk-ins welcome! Seriously, just stop by. Applicants are urged to forward their resumes to the White House care of Jared and Ivanka or simply get a job at FoxNews and he'll hire you eventually. The group, Jersey City Together, has scheduled meetings with Gov. Phil Murphy and state Attorney General Gurbir Grewal. A friend of mine who grew up near the Point Pleasant Beach boardwalk recalls a time when Martell's was not much more than a glorified shack on the beach where the kids could buy penny candies. "Watermelon slices, red-hot dollars, pink nougats, Mary-Janes, baby Sugar Daddies and of course the string licorice," she recalled. Now it's a giant nightclub that plays host every summer to hundreds of people who look like they're answering a casting call for the next remake of "Jersey Shore." The same can be said of neighboring Jenkinson's. There's a place for that sort of thing, I guess. But if you're going turn your town over to some of the rowdiest people on the planet every summer, why get all worked up about the prospect of some people buying a little pot? That is the question riling the town at the moment. The mayor, Stephen Reid, has been having a tiff with a former mayor, Vince Barrella over the town's identity. It seems that Reid is not only the mayor but the paid executive director of an anti-pot group known as New Jersey Responsible Approaches to Marijuana Policy (NJRAMP). In that role he has been going around the state encouraging his fellow mayors to resist the establishment of marijuana dispensaries in their towns in the event legalization is approved by the Legislature, which could happen as soon as next week. Barrella, who is a professor at a law school, questions whether that represents a conflict of interest. Reid says no. But the issue has certainly livened up the meetings of the Borough Council. Last week the representatives of a medical-marijuana advocacy group showed up to attack the mayor for opposing the expansion of medical marijuana at a Nov. 26 meeting of a legislative committee. "Your mayor has been going all over the state of New Jersey, against the wishes of the board of health no less, trashing us, stigmatizing us," said one member of the group called "Sativa Cross: Ignorance of the Law Is No Excuse." Another said Reid called such dispensaries "pot shops." In the middle of the scrum, Barrella took the floor to decry statements from Reid and council members that Point Pleasant Beach is a family resort. "We are not a quiet fishing town," Barrella said. "We're a town with 21 liquor licenses. The liquor industry here in town looks at the legalization of marijuana as a competitive disadvantage." When Barrella was mayor, he pushed for an ordinance setting a midnight bar closing. The goal was to put a lid on the megabars in town, as Belmar successfully did in the 1980s, and perhaps forge a return to the days of the penny candies - adjusted for inflation, of course. Opposing that ordinance was none other than the governor, Chris Christie. He engaged in a public fight with Barrella that ended with his Alcoholic Beverage Commission director nixing the midnight bar closing The mega-bars continued to thrive. Though Christie was pro-bar, he is anti-marijuana. That set the parameters for the current debate, Barrella said when I called him the other day. "I gotta think there'd be less intrusion from a dispensary than there are from multiple liquor licenses," said Barrella. "It's hypocritical to pretend we're like Bay Head or Mantoloking or Spring Lake." When I gave Reid a call, he said that Barrella is exaggerating the problems with the big bars along the beach. "That's what Vince likes to say, but I really don't see too many problems with Jenkinson's and Martell's," Reid said. "They wouldn't belong in Bay Head, but like it or not this is a tourism town." Who does belong in Bay Head? Chris Christie, that's who. When it came time to buy a summer home after he left office, he decided to buy in Bay Head rather than Point Pleasant Beach. He will thus be spared the prospect of hearing loud drunks walking past his door after closing time at 2 a.m., a prospect with which his neighbors to the north are all too familiar. As for the potheads, I suspect Christie will be safe from them as well. But I certainly wouldn't trust them around the candies. Seismic testing off the Atlantic Coast is an unwanted precursor to offshore drilling, and New Jersey&apos;s lawmakers should try to stop it. One reason that U.S. Rep. Frank LoBiondo, R-2nd Dist., will be missed when Congress reorganizes is that the congressman is fighting to the end to protect the New Jersey coastline from offshore oil and gas drilling. With only about three weeks until retirement, LoBiondo let it be known last week that he's added his name to those of 92 other House members who are pushing back against the Trump administration's latest gambit to lure energy companies to the Atlantic Ocean in search of fossil fuels that they can convert into cash. New Jersey's congressional delegation has long been successful in fighting off authorization to open the ocean off our state far and wide to oil rigs, the Trump drill-baby-drill team's newest effort pulls an end run under the guise of research. Late last month, the federal government, through the National Marine Fisheries Service, authorized Marine Mammal Protection Act permits for five companies to use powerful compressed air blasts to survey what lurks beneath the ocean floor in the mid- and south Atlantic. The results of this "seismic testing," as it is called, are known to be of more interest to energy prospectors than to legitimate marine-life scientists. The automated air-gun blasts, which can take place every 10-12 seconds for months at a time in a designated area, provide data about sand and gravel and sea floor hazards, but they also help to discern where oil and gas deposits are lurking. What's wrong with knowing if there are deposits? Nothing, really, except that in a Trump administration that is tone-deaf to threatened species -- and to threatened water-related tourism -- the cheerleading for pulling that oil and gas out of the ocean will get louder if the results suggest that even a teaspoon of black gold, Texas tea, etc., is recoverable. The northernmost spot for the pending blast permits is the New Jersey-Delaware line. For a region whose economy depends so much on commercial and recreational fishing, beach-going and wildlife sightseeing, any spill from the drilling activity would be disastrous. It would be different if the United States were in an emergency stemming from a severe energy shortage, but we're not. The temptation for President Donald Trump to open new offshore oil spigots just to ease price pressures -- caused in part by Trump's renewal of sanctions against Iran, for example -- might prove irresistible. The negative impacts of the seismic testing itself are less certain and subject to some embellishment by environmental groups that claim it will drive into extinction species such as the North American whale. But it stands to reason that incredibly loud blasts and the sound waves they create will cause some disruption to habitat for all sorts of aquatic creatures. It's U.S. Commerce Secretary Wilbur Ross and scandal-plagued Interior Secretary Ryan Zinke who will issue the final go-ahead for the testing under misleadingly named "incidental harm authorizations." Don't expect a fair hearing from these zealots for the destruction of federally managed land. So, it's important for New Jersey's congressional delegation to hang together and use their political clout to oppose this threat. New Jersey gets four new members of Congress next month. While it's expected they'll also oppose the seismic tests and any drilling authorization, they'll need to schooled on how to do so effectively. Sadly, LoBiondo's expertise will be gone, but other ocean champions like Rep. Frank Pallone, D-5th Dist., and Sens. Robert Menendez and Cory Booker, both D-N.J., can lead the way. The worst stereotype of police unions is that they defend incompetent cops at all costs, hunkering down to oppose public transparency at every juncture; responding with overly belligerent statements when what's called for is nuance and a dose of healthy self-examination. Good cops deserve better. So we're pleased to welcome Patrick Colligan, head of the State Policemen's Benevolent Association, to the policing data reform effort. Better late than never. After acerbically dismissing an exhaustive and disturbing report on police use of force compiled by NJ Advance Media for The Star-Ledger and NJ.com as "clickbait entertainment," Colligan now pledges to help collect this data in the future. He just signed on to a statement with Gov. Phil Murphy's Attorney General and other police unions, saying they'll be "working together to design a new system for obtaining use-of-force data in New Jersey." Great. 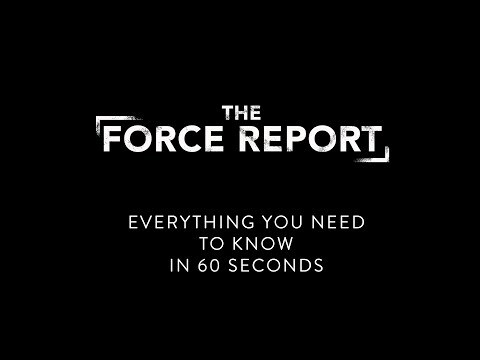 But let's be clear: This is exactly what "The Force Report" did. Attorney General Gurbir S. Grewal agreed that reporters shouldn't have had to pay more than $30,000 and file hundreds of public records requests to compile it. As part of their 16 months of legwork, they requested an interview with the PBA. Colligan didn't respond, just like he refused to discuss this with us on Monday. Yet hours after the report came out, he assailed it as "a clickable database for watercooler banter today, nothing more." Really? New Jersey's top cop, Grewal, begged to differ, praising it as "nothing short of incredible." "They've analyzed it to see if there are patterns of behavior that should cause concern or raise red flags," he said. "That's something that we should be doing." Policing data experts heartily agreed. While most cops rarely used force, many departments had troubling outliers, the report found. Multiple officers charged with brutality and other misconduct would have been flagged early, had our state used a better system. This report states outright: Policing is a risky profession and use of force is not misconduct. It's just an early warning. The calculation that, on average, more than three cops a day are getting injured on the job also cries out for a closer look. Colligan argued this database should have included additional reports and witness statements, to indicate whether each use of force was justified. But by law, police departments can withhold these documents from the public, which they frequently do. Colligan knows this, because it's police unions like his that have opposed the public release of such records. Yet now, he complains that more documents aren't included here: "True journalists at least attempt to tell an entire story," he wrote. This is why reporters fought the PBA in court. As its state head, Colligan hasn't exactly been on the front lines, pushing for more disclosure. NJ Advance Media also hired a statistician who has studied use of force extensively, John Lamberth, to review its team's work. His primary criticism was that the database was too deferential to police. If five officers used force on one person, for example, it was counted as a single incident for that department's rate of force, even though it could be argued that there were five uses of force. Colligan maintained to the Asbury Park Press last year that bad apple cops "will either be weeded out by their peers, or their actions will weed themselves out." But obviously, that's not happening. Among the officers who would have been flagged early, had the state been keeping track: Sterling Wheaten, one of the five Atlantic City cops involved in mauling a drunk man who yelled at them. After Wheaten sicc'ed his snarling police dog on the guy, leaving him with 200 stitches, taxpayers settled the case for a staggering $3 million. Did we really want to let this cop's actions "weed themselves out?" We need to do better, Detective Colligan. Put probes of police-involved fatalities into the arms-length hands of the state attorney general&apos;s office. New Jersey Attorney General Gurbir Grewal has a keen sense of what can increase trust between law enforcement and the community at large. He often makes policy decisions with the expectation that they will boost cooperation, so that it will be easier to find serious lawbreakers and bring them to justice. In one instance, though, Grewal's judgment seems flawed. It's his opposition to legislation that would require the AG's office, rather than county prosecutors, to lead investigations into police-custody deaths involving municipal officers. In an unusual move, Grewal testified Monday against the pending bill, now that it's poised for full legislative approval. The attorney general told the Assembly Appropriations Committee that the legislation would "undermine public trust in law enforcement and will replace a system that already does everything that the sponsors seek to accomplish and more." Where is Grewal is coming from? This legislation (A3115) has been hanging around since 2016, when Senate President Stephen Sweeney, D-Gloucester, introduced a prior version in response to concerns about the results -- often long-delayed results -- of county-prosecutor led probes into several deaths in South Jersey at the hands of local police officers. To restate our reasons for supporting the legislation, they include long silences by prosecutors before these cases are updated, the suspicion that county prosecutors are too "buddy buddy" with municipal cops they must work closely with every day, and that prosecutors can manipulate grand juries against indicting officers. So-called "community activists" have ginned up suspicion over county-prosecutor- led investigations into some police-custody killings, but these loudmouths usually fan neighborhood distrust that is smoldering anyway. What's wrong with adding another layer of scrutiny? These cases are still rare enough -- fortunately -- that it shouldn't put a strain on the AG 's office to take the lead. There were 13 police-involved fatal shootings statewide in 2017, barely one a month. An AG-level probe is small price to pay to defend that important element of public safety protection that allows police officers to use deadly force legally in situations when others may not do so. Grewal, in his testimony Monday, spoke of "unintended consequences" should the current bill become law. He's concerned that the language could prevent local or county investigators from going to the scene of these police-involved incidents, thus delaying the probe and the ability to uncover critical evidence. It's Grewal's job to adopt policy that prevents misinterpretations of the law. If the AG thinks the bill's language makes that impossible, he can suggest specific amendments to clarify the intent. Grewal's policy revisions earlier in the year to make the current county-run probes more transparent, including requirements to release most relevant body-cam/dash-cam video in a timely manner, should not go unnoticed. Against a background of wider statewide questions over use of force by local police, however, the policy changes don't go far enough. Having the AG's office take over these police-involved fatality cases is the right course. It was good to see the Assembly Appropriations Committee release the bill, 7-4, on Monday, despite Grewal's objections. Two local members of the panel, Assemblyman John Burzichelli, D-Gloucester, and Assemblywoman Gabriella Mosquera, D-Camden, properly voted to send the bill on to the full Assembly. The state Senate approved it way back in March. It's time. Even if Gov. Phil Murphy sees fit to conditionally veto the bill in line with Grewal's concerns, the Legislature should put it on his desk. He should sign it, once any minor bumps over its language are resolved. Boston Marathon bombing terrorist suspect Dzhokhar Tsarnaev has been posting messages on social media networks, including Twitter, in the time since the horrific event on Monday, April 15, 2013. His Twitter account is located at https://twitter.com/J_Tsar.